Welcome to Wonderland, a place of wonder and adventure. Recently I have gotten back into Planet Coaster. A theme park simulation game where you can build almost anything you want. 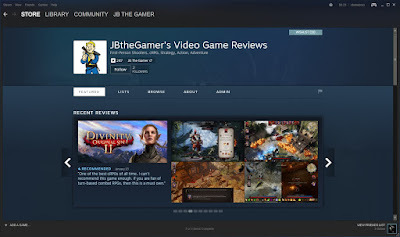 You can check out my review I did of the game back in early December 2016 by clicking here. This post is about my latest park I am building in Planet Coaster. I have called it Wonderland and first up is the Fairy-tale section at the beginning of the park. First up is a easy going roller coaster called Grendel. It fit well with the Fairy-tale theme, so I decided to use it once I was able to build up some cash. 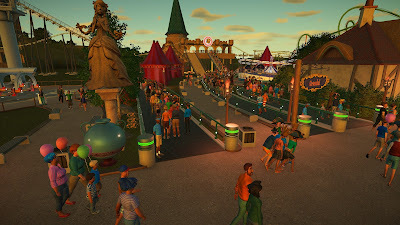 See, I am playing this map on Challenge mode, which means you start with limited funds and try to run a park without going into the red. It took some time and as you can see the area is rather bare, because I was strapped for cash. 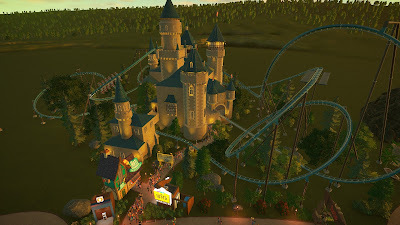 Once I was able to build up some funds I built Grendel, which helped secure more funds to further build out the park. 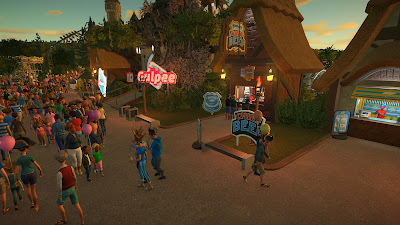 This little section near the entrance of the park is where the guests go to get their food and drink. I find that guests are always thirsty more then hungry. So keeping up with their demand was rather challenging at first. But I was able to find a nice balance which kept the guests happy. The greenish roller coaster you see in the back is called the Green Dragon. The second and very successful roller coaster in the Fairy-tale section. 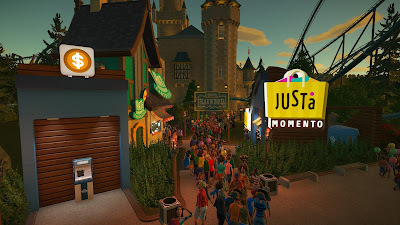 It filled the guests desires for thrills and made me a lot of money. All that cash coming in from the other two roller coasters allowed me to build the main star of the Fairy-tale section of Wonderland. 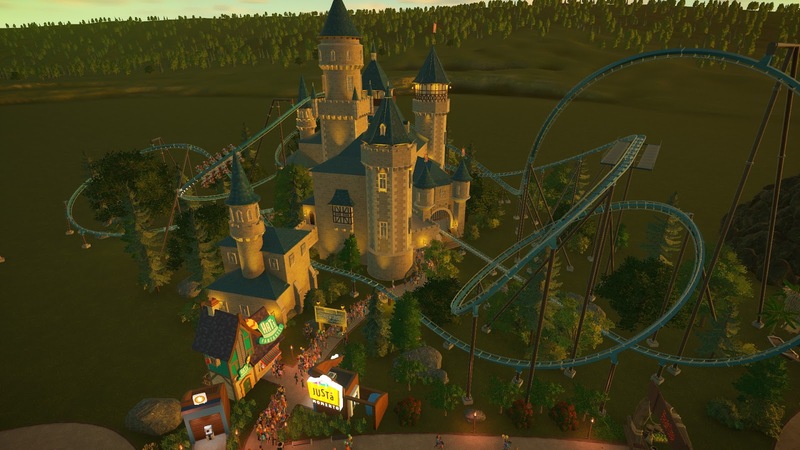 This epic coaster is called the Schloss Blauwinkel. It was created by the Steam user Xepi88 in the Steam Workshop. I decided to add some coasters from the Workshop. It was rather easy to download and install them. Really all you have to do is just find what you want and hit the Subscribe button and boom it is downloaded and installed into your game right away. The Schloss Blauwinkel impressed me so much I had to add it to Wonderland. It is currently the guests favorite and is always crowded. 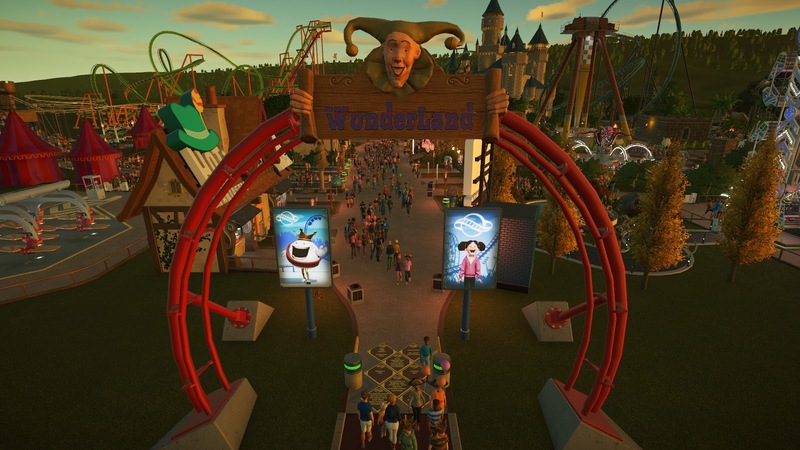 If you ever decide to pick up Planet Coaster, head on over to the Steam Workshop for the game and add this awesome coaster to your park. Your guests will love it. 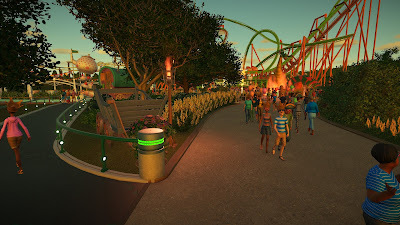 Here is another look at this amazing coaster. The Fairy-tale section is rather small since I had limited funds. But I really wanted to add a Pirate section. Schloss Blauwinkel pulled in a ton of cash which allowed me to build another section with out to much worry. 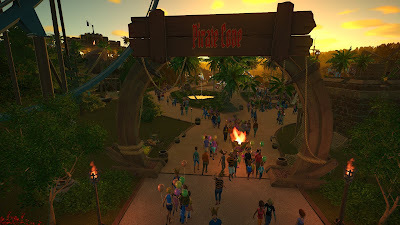 So coming soon in a future post will be about Pirate Cove, the newest section of Wonderland.